Should gold be part of my portfolio? Humans have valued gold for several millennia, and that will likely continue. It is understandable, then, that a human such as yourself might consider trading some green for gold. I say, “Don't bother,” and here's why…. The wisdom of an investment decision depends on when you buy and when you sell. This makes all kinds of things — from dot-com stocks to Beanie Babies — extraordinarily good investments … as long as you sell before prices plummet. Gold is no different, as current owners know; it was a fabulous investment through most of the 2000s, but has lost a third of its value since 2011. This isn't unusual. Check out the returns on an ounce of gold over the past 40 years, based on data from the Federal Reserve Bank of St. Louis. The rolling returns measure performance over various holding periods, each starting a year later. For example, five-year rolling returns are the average annual price changes in gold starting with 1975-1979, then 1976-1980, then 1977-1981, and so on. The “% Positive” is the percentage of times that gold was at a higher price over the indicated period. Most investments have short-term volatility and ever-present unpredictability, but gold is all over the place. Most investors would consider a decade long enough of a holding period to ride out the ups and downs of a volatile asset. However, a third of the 10-year returns for gold were negative. I don't know about you, but I'm not thrilled to invest in something today that, historically, has a one-in-three chance of being worth less in 2025. You invest today in order to pay for something in the future. Thus, your investments will need to keep up with whatever that something costs years down the road. Unfortunately, gold may not do it for you. Cast your eyes once again upon the table above and ponder whether an asset that loses value over many multi-year periods is an effective inflation-fighter. Also, consider this: The price of gold reached approximately $850 an ounce in 1980, and then began a long decline that didn't end until 1999 at around $250. Gold didn't exceed its 1980 peak until 2008. That's a 28-year period during which gold didn't increase in value. Something that cost $1,000 in 1980 cost $2,600 in 2008 due to inflation, and gold did nothing to make up the difference. In his 2012 annual letter to Berkshire Hathaway shareholders, Warren Buffett described three types of investments. The first is what he called “investments that denominated in a given currency” — e.g., cash and bonds. The second type are “assets that will never produce anything,” such as tulips (the subject of a 17th century speculative mania), houses, and gold. Buffett pointed out that the total value of all the world's gold (170,000 metric tons) could be melded together to form a cube that is roughly 68 feet per side. Back in 2012, that cube would have been worth $9.6 trillion — enough money to buy up all the cropland in the U.S. as well as 16 ExxonMobils, and still have $1 trillion left over “for walking-around money.” A century later, all that land and all those oil companies will have produced trillions of dollars' worth of food and dividends, but the gold will still be just 170,000 metric tons of metal. Those farms and ExxonMobils are examples of Buffett's third (and preferred) category: investments that make things or provide services and can charge higher prices during inflationary times. For the average person, the easiest way to do this is by owning pieces of hundreds of businesses via a low-cost index fund, a productive asset that Buffett recommends for 99 percent of investors, including LeBron James on CNBC a couple of weeks ago. Here is a version of that table above, but using the return figures for the S&P 500 index instead of gold. The average annual return for the S&P 500 over the entire period was 12.1 percent (compared to 4.3 percent for gold), which includes the cash that most companies pay their shareholders in the form of dividends. Historically, dividends have grown at a rate that meets or beats inflation. Why? Because companies charge higher prices over time. Back in 1980, gas cost $1 a gallon, a new car cost something like $6,000, and $9 got you into the Magic Kingdom at Disney World. As prices have risen over the years — it now costs more than $100 to see Mickey up close and personal — companies have made more money. 4. Miner losses, slow-growth jewelry, and taxes — oh, my! Here are a few of my other beefs with bullion. Some folks choose to invest in companies that work in the gold biz (such as miners) rather than the gold stuff itself, since these are businesses that make money by providing services that will be required as long as humans dig stuff out of the ground to make other stuff. However, these companies' fortunes often ebb and flow with gold's luster, which is partially why the Vanguard Precious Metals and Mining Fund has lost money in each of the past four calendar years as gold prices have crashed. What about things made from gold, such as jewelry, that also have decorative, sentimental, and/or flaunting value? Whether an individual item is a good investment depends on many factors, including craftsmanship, taste, and all the materials used. But the U.S. Bureau of Labor Statistics does have a jewelry category in its calculation of the Consumer Price Index. An item that cost $100 in 1986 would be worth $166 today, according to this measure. That's less than a 2 percent annualized return. Plus, such things have to be stored, secured, and insured, and are not easily converted into cash. Most forms of physical gold are considered collectibles by the IRS, and short-term gains are taxed as ordinary income while long-term gains are taxed at a 28 percent rate — higher than the 15 percent to 20 percent long-term rate on stocks. That higher long-term rate also applies to the widely held SPDR Gold exchanged-traded fund (ETF) with the GLD ticker (unless held in a tax-advantaged retirement account). For these reasons, I would not advocate keeping gold in your portfolio; but tomorrow's post will offer different perspectives on the subject of gold. Perhaps my reasoning will tarnish the luster of including gold in your portfolio a bit; but then again, it is always wise to consider different points of view before coming to a decision on matters like these. What do you think? 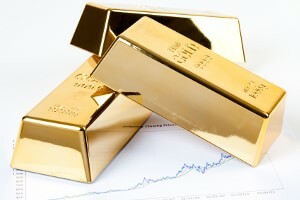 Should gold be part of your portfolio? Modern technology is amazing. For example, thanks to the wonders of Find My iPhone — an application which allows you to use another device to locate a phone on a map — I was able to watch my stolen iPhone travel northward until the signal stopped deep in the heart of Washington, D.C. I haven't heard from it since, so I don't think the person who has my phone was just taking it for a day trip to the Smithsonian. According to Consumer Reports, 3.1 million smartphones were stolen in 2013, which was nearly a 100 percent increase from 2012's number. Another 1.4 million were lost. Holding all that capability in the palm of your hand isn't cheap. You have a monthly bill that, according to J.D. Power, averages $73. Recent data from the Wall Street Journal and ABI Research says that the average cost of an Android device is $254 while Apple averages $687 for each iPhone it sells. (By the way, that higher price is a big reason why Apple's last quarterly profits were the biggest for a publicly traded company … ever). Add to those costs the potential consequences of someone gaining access to your personal and financial nitty-gritty (not to mention your mildly embarrassing selfies), and the cost of losing and replacing your smartphone can grow into the hundreds (if not thousands) of dollars. The incentive to protect your smartphone investment rises exponentially when you consider how identity theft could affect your finances. Here are 10 ways you can limit the chance that such a fate will befall you. 1. Lock it now. Add a passcode so no one can access your info or jack up your service bill with excessive texting, calling, or surfing. 2. Put identifying information on the outside of the phone. The home screen on my phone is a picture of our hamster, Fluffy, next to a speech bubble with my email address. I also have a little sticker on the back in case the phone runs out of power. Tip: Don't list your cell phone number as the method for contacting you. 3. Download an anti-theft app. There are loads of them, including some that allow you to lock your phone remotely and take pictures (hopefully of the thief). But you had better act quickly; these apps only work if the phone still has power and is turned on. Many of these apps, like Find My iPhone, allow you to remotely tell your phone to emit a noise so you can hear it even if it is on mute. That said, I activated the “ping” on my iPhone, and I wonder if that's how the thief found it. When I first checked Find My iPhone on our home computer, it looked like the phone might still be in the store; maybe I dropped it or left it on a shelf. So I returned to the store and did the ping thing. I didn't hear it, but it wasn't too long afterward that the phone hit the road. 4. Consider whether you need your phone with you. According to the Pew Internet Project, 29 percent of cell owners say their phone is “something they can't imagine living without.” But there is also evidence that, if you go a day without your phone, you won't die. Keep that in mind before you go places that increase the likelihood that you'll break or lose your phone — e.g., the beach, a concert, a funeral or job interview in an unfamiliar area. You won't be trapped in a phone-less wasteland; odds are folks around you would probably be willing to lend their phone for a quick call if it is truly necessary. Or consider paying $10 to $20 for a prepaid phone if you need to be accessible while doing something that could put your smartphone at risk. The same goes for your kids when they leave the house to run, jump, tackle, sled, dance, or crash at a friend's house. 5. Tie your phone to yourself. Ever seen those leather wallets that are attached to their owner's belt via chain? I don't know if such a product exists for phones, but it should; if you are handy enough, you could actually make one yourself. Maybe keep it in your tie. (Hey, I just invented something! I work next to the U.S. Patent Office, and I'm running over there in five minutes.) Anyway, it's something to consider if you often misplace your phone, especially in public places. 6. Disguise your phone. You can buy or make cases that make your smartphone look like a small book, an old calculator, a cracked older-model phone, or a cassette tape. (Okay, maybe the cassette tape would actually draw more attention!) But the point is that concealing your phone's true identity might reduce the chances that it will be taken and could enhance the possibility of its being returned if it gets lost. 7. Get insurance … maybe. Most phone insurance policies just cover damage, though some will replace your phone if it is lost or stolen. Comprehensive coverage will cost approximately $10 a month, and you will pay a deductible of around $100 to get a phone repaired or replaced. For lower-cost phones, it may not be worth it. For the latest and greatest big-ticket phones, it is worth considering. 8. Once it's gone, take quick action to protect yourself. Tell your wireless carrier to suspend or block service, which will prevent others from using it, at least temporarily. You can reactivate the service when you find the phone. If you know it is lost, you can wipe it of all your data if it is still turned on. (Just know that if you wipe all your data off the phone, then locator apps will no longer work.) Also, you should change the passwords to your email accounts, financial apps, shopping sites, and anything else that has sensitive data as quickly as possible. 9. Tell the police. Don't expect them to launch a full-scale investigation or a high-speed chase involving a car that, according to your locator app, may contain your phone. But if the phone is found and you have reported it to the police, it might speed up the process of returning the phone to you. Plus, it is good for them to have accurate statistics so they can tell whether phone theft is becoming more frequent for some reason. In addition, you may need to file a police report if you are making an insurance claim. Speaking of insurance, your auto insurance probably won't cover the loss of your smartphone even if it is stolen from your car. But if you are concerned about identity theft, you can find insurance that covers that specifically. Equifax: To order your credit report, call: (800) 685-1111. Experian: To order your credit report, call: (888) 397-3742. TransUnion: To order your credit report, call: (800) 916-8800. A lost or stolen smartphone is more than an inconvenience these days. Unfortunately, it can also mean an unexpected expense and exposure to identity theft. But I'm not the most techno-savvy fellow, so I'm sure many of you have other suggestions, including app recommendations. Let us hear 'em in the comments section below! 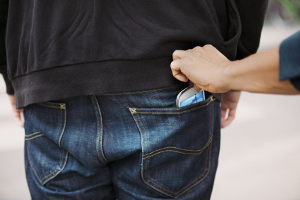 How do you prevent mobile phone theft? Have you experienced a lost or stolen smartphone? What did it cost to replace it, and was your identity stolen as a result? I'm a bit of a nut about Christmas; I even have a daughter named Noelle. So this time of year can be a bit of downer for me. The tree gets disassembled, the Bing Crosby CDs get packed away, and the holiday cards stop coming. Regarding that last one, however, the void in my mailbox will soon be filled by a different type of tiding — in the form of annual statements from my investment accounts. OK, so they're not as jolly as cards with pictures of friends and relatives. But using your year-end statements to give your portfolio a thorough checkup can pay off, especially if you discover ways to increase your chances at higher returns. To see the potential benefit, check out this table, which shows how much $10,000 could amount to, given different rates of return and time periods. As you can see, earning another two percentage points a year can add thousands of dollars to your net worth. Alas, you can't just snap your fingers and pump up your returns. Most investments involve taking on risk, which many people think of as volatility — the ups and downs you'll experience — but I prefer to think of it as uncertainty, as in you generally don't know exactly how an investment will perform, which can make things like retirement planning a bit of a challenge. Still, there is a way to increase your chances of earning higher returns: Replace your lagging mutual funds. It is not guaranteed to juice your returns, but the evidence suggests that there are some common characteristics of funds that tend to outperform most others with similar investment objectives. As I recently wrote, approximately 70 percent of actively managed funds (those who pay actual people to pick the investments) underperform comparable index funds (which just copy a market barometer such as the S&P 500). In 2014, the failure rate was even higher, making last year one of the best for index funds in decades. The evidence is clear: Lower-cost funds tend to outperform higher-cost funds. In 2010, Morningstar analyzed how much expense ratios and the company's proprietary five-star fund rating system predicted a fund's ability to outperform its peers. The conclusion: “If there's anything in the whole world of mutual funds that you can take to the bank, it's that expense ratios help you make a better decision. In every single time period and data point tested, low-cost funds beat high-cost funds…. Investors should make expense ratios a primary test in fund selection. They are still the most dependable predictor of performance.” This explains a good deal of the secret sauce of index funds — the average actively managed fund has an expense ratio 10 to 15 times higher than that of a comparable index fund. If you just listened to the headlines, you would think that 2014 was a great year for investors. After all, the S&P 500 and the Dow Jones Industrial Average reached all-time highs. However, those indexes focus mostly on large companies in the U.S. – Apple, General Electric, Johnson & Johnson, and so on. Such types of investments outperformed most others last year. So if you compare, for example, a smaller-company fund to the S&P 500 or Dow, the fund will likely look like a laggard. But that doesn't mean you should get rid of the fund. In fact, historically, small-cap stocks have outperformed large-cap stocks over the long term; it just doesn't happen each and every year. So you should instead compare the fund to other small-cap funds to see if it's worth keeping. Last year, the U.S. stock market outperformed the markets of all other developed countries, which collectively were down 3.9 percent, compared to the S&P 500's gain of 13.7 percent. Standard & Poor's tracks the performance of 48 global stock markets, and 30 of them were down in 2014. Thus, the more money you had in an international stock fund last year, the more likely that your portfolio didn't match the S&P 500 — even if it is a good fund. Consider the performance of Dodge & Cox International, which was essentially flat last year. If you anchored on the S&P 500's double-digit return, you might conclude that the Dodge & Cox fund stinks. But its whopping 0.1 percent return actually placed it in the top 9 percent of large-company foreign funds in 2014, according to Morningstar. Since most other international funds lost money, making a teeny-tiny profit was exceptional. The best place to analyze your funds is Morningstar.com, which ranks a fund's performance relative to other funds with a similar investment objective. Enter the fund's five-letter ticker in the “Quote” field at the top of the site, then click on “Performance” and scroll down to the “Rank in Category” row in the “Trailing Total Returns” box. The lower the number, the better. For example, a 6 would indicate that the fund's performance ranks among the top 6 percent of funds that invest in similar types of assets. Look beyond the one-year return to the five-year return or longer. Just because a fund finished in the top half or even top quarter of other funds doesn't necessarily mean it beat a comparable index fund. A significant chunk of top-performing funds in one period doesn't duplicate their top-ness during the subsequent period. But performance is still worth considering if you are looking to replace a high-cost, low-performing dud, especially if a low-cost index fund isn't available as is often the case in employer-sponsored plans such as 401(k)s.
While taxes should rarely be the primarily reason for holding on to a bad investment, you should still be aware of the consequences if you are selling a fund in a taxable account. Best of luck, and here's to better-faring funds in 2015! Back in July of 2013, I decided to move on from the turtle-logoed pages of Get Rich Slowly in order to devote more time to other professional and familial responsibilities. However, a few months ago I managed to find time to once again join this merry band of bloggers, which gives me the opportunity to pass along the results of a survey I included in my “farewell” post from 2013. At the time, the members of The Motley Fool 401(k) committee (of which I am a member) had recently decided to auto-enroll new employees into the plan. That decision was made after significant debate. Some committee members argued that most Americans aren't saving enough for retirement and auto-enrollment is a way to “nudge” people toward saving more. Others said it was meddling too much in our colleagues' financial lives, especially since the Fool 401(k) has an above-average participation rate. Many years ago, I would have been more inclined to side with the latter camp. However, I had since seen too many people start too late with their retirement savings, so I sided with the pro-auto-enroll camp, which eventually triumphed. However, we then had to decide on a default savings rate. According to Deloitte, the average deferral rate for auto-enrollment plans was 3 percent in 2012 — and that is a good start, but not high enough for someone who wants to retire in her 60s. Since auto-enrollment got Uncle Sam's blessing in the 2006 Pension Protection Act, the evidence indicates that auto-enrollment has increased the number of workers contributing to their 401(k)s, but the average savings rate has gone down. That's because many of the auto-enrolled folks stick with that low deferral rate, whereas people who actively enroll in their plans tend to choose to sock away 8 percent or so of their salaries. Some of us on the Fool's 401(k) committee argued that 8 percent was a good default rate for our colleagues-to-be because the Fool matched contributions up to that point. (We have since increased the match to 9 percent.) Others thought that was way too much, arguing that we don't know enough about peoples' finances to assume they can afford to forgo that much of their income. Before I give response options in the survey, take a moment to think about how you would answer that question (free of the influence of how others responded). I'll fiddle with some of my new Christmas toys while you think. OK, here are the choices followed by the percentage of respondents who chose each response. The results may not be as jarring as the Ghost of Christmas Yet-to-Come showing Scrooge how delighted everyone will be when he's dead, but they did surprise me. 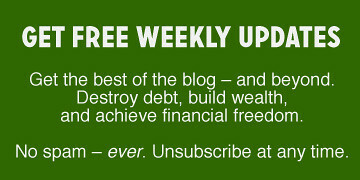 Of course, it is easy to say you wish you had been saving more now without having to think about what you wouldn't have had or done in the past because you saved instead of spent. But this simple, unscientific study strongly suggests that most people wish their employers had nudged them to save more. In the end, we on the 401(k) committee settled on a default rate of 2 percent that will gradually auto-escalate to 9 percent over a few years. We also changed the matching formula so that the first 1 percent of savings gets a two-for-one match, with additional savings matched fifty cents on the dollar up to that 9 percent. We thought this would encourage people to at least save a little, and make sure that those who couldn't save as much still got a big boost from the match. As we move from the season of giving and receiving to the season of resolutions, spend some time envisioning your older self and how much spending vs. saving she or he would value the most. It might be just the nudge you need to save more, and will take less time than enduring a 401(k) committee meeting. How to save for a house? It's a common question among newly married couples, but this was not our first marriage milestone. My wife and I didn't wait too long after our wedding to create a family. We were parents one week before our first anniversary. Our apartment was too small for a third human, so we endeavored to buy a house. Unfortunately, we didn't have a lot of cash on hand since we moved from Florida to Virginia six weeks before we got married, and we footed most of the bill for the wedding. However, we were still able to buy a house, though barely in time for the birth, but amassing a down payment relatively quickly. If you're also scrounging for a down payment, here are some ways you can save and reach that goal faster. My dad pitched in $10,000 as an advance on my inheritance. When he passes away, I'll get less money than my sisters, which he thought was the fair way to do it. We bought a house in less-than-pristine condition, which meant we paid less than something turnkey. We then gradually fixed it up, doing most of the work ourselves. Think of it as trading a larger down payment today for expenses that are spread out over the next year or few. Related >> Can We Afford to Buy a House? I have moved a few times in my life, and each time I made $1,000 or more from selling stuff on Craigslist, to colleagues, or at yard sales. Bonus: less stuff to move! As an advisor for a retirement-planning service, it almost hurts me to type this. But if you are willing to retire later in exchange for a home today, you have options. Taxable distributions from an IRA might be exempt from the pre-59 ½ 10 percent penalty (but not taxes) if you are a “first-time home buyer,” which the IRS defines as someone who “had no present interest in a main home during the two-year period ending on the date of acquisition of the home.” So you might still be eligible even if you have owned a home previously but not recently. The penalty-free distribution is limited to $10,000 per qualified person (including both spouses if both are “first-time buyers”). Also, contributions to a Roth IRA can be withdrawn any time tax- and penalty-free; however, this doesn't apply to the growth or a Roth employer-sponsored account. But before you touch any of your IRAs, make sure you review IRA withdrawal rules. If you are a valued employee, you might be able to ask for a raise or an advance on your bonus or paycheck. You might also ask if you can take a benefit in the form of cash. This can be tricky for employers, since it can mess up their accounting. But it might be worth a shot if you have a good relationship with the purse-strings-that-be. Feel free to play the “we're having a baby!” card if you work for a family friendly company. Some state and local governments offer assistance to younger or lower- to middle-income citizens. Uncle Sam's FHA also has programs for cash-poor home buyers. But if you are getting a loan that requires a down payment lower than 20 percent of the home's value, factor in the possible higher long-term costs, such as a higher interest rate and private mortgage insurance. The down payment required on an FHA loan can be as low as 3.5 percent of the contract sales price of the home, depending on your credit score. Note one thing, though, all of the funds from the down payment need to come from the buyer his or herself, so gifts won't work here. For complete details, see this detailed explainer from the FHA. Those are just some ideas. If you have others, let us know in the comments section below. A discussion about personal finances can be a polite, congenial affair. Few people come to blows over insurance or budgeting. But some topics inflame financial passions, and one of them is investing. Fellow GRS e-scribe William Cowie encountered this a couple weeks ago when he advocated for investing in individual stocks in certain situations. I thought I would pass along a few thoughts of my own, given that 1) William cited the success he's had with a newsletter from The Motley Fool (my employer for the past 15-plus years), and 2) my own portfolio has big holdings in index funds but also some actively managed funds and individual stocks. This is a huge topic, with enough books written about the subject to create an entire wall of books. But for today's post, I'll question one of the main arguments against individual stocks, then conclude with a few parting thoughts. 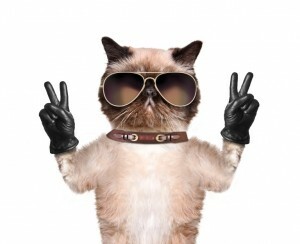 And as my posts have traditionally been sprinkled with cat pictures, I'm including this cool “peace” cat as inspiration. The evidence is clear: Most actively managed funds underperform similarly invested index funds. The Standard & Poor's Index vs. Active (SPIVA) mid-2014 report says that more than 70 percent of actively managed funds lost to their respective benchmarks over the previous five years. The cheerleaders of index funds have plenty of hard evidence to power their pom-poms. This leads some to argue that if fancy-pants Wall Street fund managers can't beat an index fund, then the average Josephine doesn't have a chance. However, fund managers have to overcome hurdles that individual investors don't. First off, fund companies take money from your account to pay for running the business and buying fancy pants. The fees charged by index funds are much lower than those charged by actively managed funds, which gives the former group a head start, so to speak. According to the SPIVA report, the S&P 1500 index (a more comprehensive measure of the U.S. stock market than the S&P 500) earned an annualized 19.18 percent over the five years ending June 30, 2014; the average actively managed fund made 17.95 percent — a difference of 1.23 percent. Not coincidentally, that is just about the average fund's expense ratio — i.e., the percentage of your account value a fund company extracts. In other words, higher costs are one of the reasons active funds lag index funds. Investors in individual stocks, on the other hand, just pay commissions, which generally are $10 a trade or less. If those shareholders are true buy-and-hold investors — which is the right way to do it — that is the only expense they will pay to own a stock for years to come. To be fair, investors who subscribe to research services should also factor in those costs. But annual expenses for investors in individual stocks shouldn't be anywhere near 1 percent. Also, fund managers must deal with the flow of money in and out of the fund, which might force them to invest in ways they would rather not. For example, when the market tanks, fund investors collectively take out more money than they put in. This can force managers to sell stocks after prices have already plummeted, even though they would prefer to be buying when stocks are down. On the flip side, when the market or a particular fund does well, money pours in, and the manager is compelled to invest the cash after prices have already gone up. As a fund gets bigger, its menu of potential purchases shrinks; it can no longer invest in smaller companies because buying a meaningful stake could drive up the price. Individual investors don't have these concerns. They can invest in small and big companies alike as well as buy, sell, or hold based on their own circumstances and choices. They are not forced into selling because others are panicking. Do these advantages that individuals have over fund managers lead to market-beating returns? The research is not as extensive as the “index vs. active funds” literature — and much of it is outdated, involves only a few years' worth of investing, and/or is based on data from foreign exchanges. But I know of enough people who have pulled off benchmark-beating returns to know that it is possible. There is so much more to say on this; but for now, let me pass along these three thoughts. Many people who are known for their indexing advocacy own some individual stocks on the side. Heck, even Vanguard — the company most known for advancing the cause of index funds — has been offering actively managed funds for decades. Last year they published “The Case for Vanguard Active Management” and launched their non-indexy Global Minimum Volatility Fund. If Vanguard can be cool with an investor having both active and indexing strategies in a portfolio, then it's probably fine. 3. Keep score. However you invest, evaluate your choices annually. Are your actively managed funds keeping up? Do you have the best index funds? If you have a financial adviser, how is she doing? If you are picking stocks, how are you doing? If you're not sure how to do all that, have no fear. It will be the topic of one of my first posts of 2015. But beating an index fund is not an easy thing to do, so it is important to know sooner rather than later if your forays into active management are paying off. Saving for retirement isn't easy, but 401(k) accounts are a universally popular way to save thanks to hands-off investing features and contributions drawn directly from your paycheck. But how do you know if you've saved enough? How is your retirement savings plan shaping up against people your same age? Source: “How America Saves” a 2016 report by Vanguard. Balances are from Vanguard defined contribution programs. A 401(k) is a defined contribution (DC) plan. On average, most experts advise that you will need to save enough to replace 80% of your current income for the length of your retirement. Source: EPI analysis of Survey of Consumer Finance data, 2013. Am I saving enough in my 401(k)? The contribution limit to a 401(k) or its alphanumeric cousins — e.g. the 403(b) — increased $500 to $18,000 for 2015 and 2016. The catch-up contribution for those age 50 and up also increased $500, to $6,000. Estimates for 2017 suggest these figures will stay the same, though it won't be announced by the IRS until October 2016. But don't these limits stop you from socking away more money. Data from Fidelity shows that investors who have both a 401(k) and an IRA retirement account have an average total of around $250,000 saved, more than those with a 401(k) alone. Are there downsides to 401(k)s? Here's one of the shortcomings of the 401(k) system when it comes to investing in stocks: During tough economic times, many people lose their jobs, the still-working see their salaries get frozen or cut, and many companies eliminate the match. On the whole, money going into retirement accounts declines. But this is also when the stock market declines, which means it could be a better time to be buying stocks. Historically, the broad market — as measured by the Dow or the S&P 500 — has recovered from declines. In the teeth of the Great Recession, the S&P 500 fell as low as 666 (spooky!). Unfortunately, many Americans didn't have the resources to buy companies (which is what you're doing when you buy stocks) at much lower prices, and workers got less help from employers. Money flowing into 401(k)s increases as the economy improves but also when the stock market has already begun to rebound, making stocks more expensive to purchase. – 42 percent of companies now match dollar-for-dollar, up from 31 percent in 2013. – 56 percent require workers to save 6 percent to earn the match. Most adults will confront the thought — am I saving enough? — at some point, no matter their age, so it's important to focus on the fundamentals and not to panic. Even if you are behind, all experts will tell you even starting small is the right thing to do. Robert Brokamp, a certified financial planner, contributed to this article. If you love cat pictures, today is your lucky day. Because I'm back! As longtime readers will recall, I contributed to Get Rich Slowly from 2009 to 2013. I often wrote about more “technical” (i.e., boring) topics, such as taxes and IRAs. In order to provide a reprieve from the technical-ness, J.D. occasionally sprinkled in cat pictures. I tried not to take it personally. But for the record, I think other creatures would have been more appropriate. Such as the blob fish. For those who remember me, it's great to see you again. For those who don't, here's my Cliff's Notes tale of priesthood, eating pre-chewed food, reproduction, and why I know a thing or few about money. I hung up my GRS writing boots last year because I had overloaded my life with new ventures, which included more actual financial planning for folks. But things have settled down, which allows me once again to be a part of this self- and other-bettering community. But here's the thing about financial plans: They're really financial projections, using just your current numbers — the size of your IRAs and 401(k)s, how much you add to those accounts, your current Social Security benefit estimate, and so on. A financial adviser — or you, using a retirement calculator — inputs a bunch of figures and out comes the verdict: You're guilty of not saving enough, or you're innocent of all financial wrongdoing. I wholeheartedly believe that everyone should do just such an analysis annually to estimate whether they have a reasonable shot at retirement, or other financial goal, and to determine what they can do if things aren't looking so hot. However, these analyses also have their limitations because they only care about what can be quantified. So more and more over the years, I've found myself using financial-judging software as the basis for starting a discussion, and then wading into more fluid factors that are also crucial indicators of future financial freedom. Here are five of those factors, oh-so-briefly explained. I could devote an entire article to each. (Yay, more cats! 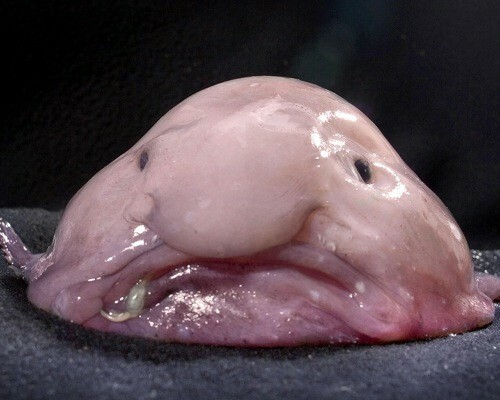 Or blob fish! Or a sitcom about them getting married but their parents not understanding!) But what follows will give you an idea. Your non-portfolio assets. We all have a lot of stuff. In fact, that's why we have a house, according to the late, great comedian George Carlin, who said, “Your house is nothing more than a place to keep your stuff while you go out and get more stuff.” For some, a house is not enough. According to the Self Storage Association, 9 percent of American households were renting a unit as of 2012. Chances are, you have stuff you either don't need or that could be replaced with a less-expensive option. It starts with your stuff-container (your house) but can involve a wide and diverse range of property: other real estate, collectibles, electronics, appliances, household items, vehicles (including bikes and boats), and the many gifts of Christmases past. You can fall back on hawking these wares in a pinch, but it is even better to turn depreciating dust-collectors into growing assets now by selling them and investing the proceeds. An investment in the Vanguard 500 index fund would have grown to almost 19 times its value over the past three decades. And unless you're a 95-year-old javelin catcher who smokes, you should think of your investment time horizon in terms of decades. Your human capital. Regardless of what advertisers or Wall Street might say, your biggest asset isn't what you buy or own. Your biggest asset is you — what you can do, what you know, what you've accomplished, and who you know. In financial terms, this can be considered your human capital — your ability to earn an income (including the variety of ways, the amount you would earn, and how easy it is to move in and out of the workforce), the things you can do that you would otherwise have to pay someone else to do, and your social and professional network. A sub-category is your financial literacy, i.e., how smart you are with your money. Your health. A recent study from gerontologist Ken Dychtwald and Merrill Lynch found that good health is the No. 1 ingredient of a happy retirement. It is hard to enjoy your golden years if your creaky bones have you in tears. But there is also a financial component: Healthier people spend less money on health care. They keep the money that would otherwise go to hospitals, pharmacies, and the medical equipment industrial complex. Of course we are all very fortunate and grateful such things exist, but they don't come cheap. Plus, healthier folks feel better, can do more, and can work later in life if they want to — as opposed to the approximately 25 percent of retirees who left the workforce at least partially for health reasons. Your habits. Financial success is determined largely by financial behavior. As “The Millionaire Next Door” — the study of real-life wealth by Thomas Stanley and William Danko — and Stanley's follow-up “Stop Acting Rich” taught us, monetary security doesn't just happen. The majority of Americans who earned their millionaire-hood did so by having a plan for where their money would go, maintaining a system for making sure they are on track, living on 80 percent or less of their income, and not buying homes in high-priced neighborhoods. Only 30 percent of the variability of wealth among households is explained by income, so the truly well-off are doing something right besides bringing home a bunch of bacon. Your family's assets. When it comes to stuff, you may have heard that you can't take it with you (even though many people think shopping is a divine experience). You might be in line for an eventual inheritance. But for many families, the biggest “asset” is the support they give one another, such as child care, elder care, professional expertise, hard-earned wisdom, and a safety net. However, to keep wealth of all kinds in the family as seamlessly and cheaply as possible, you and your relatives should have frequent and open discussions as well as the properly executed financial documents. The conventional wisdom is that the farther you are away from your investment goal, the more risk you can take. While that's generally true, discussions of investment time horizon usually focus on one point in time, and that's usually when someone will retire. However, a retiree won't need all the money all at once. She'll take a bit out the first year — let's say 4 percent, since that's the safe withdrawal rate that most studies hover around (though there's plenty of debate about it) — but the rest will remain invested. Then she'll take out a bit the next year, and then a bit three years later, and so on… for decades. Retirement isn't a single financial goal, but a series of 30 or so (depending on life expectancy) progressively longer goals that must be met each subsequent year. These goals must meet two criteria: 1) The money must last as long as the retiree does, and 2) provide income that keeps up with inflation. The implication is that retirees should still have money in stocks, since a portfolio dominated by bonds and cash would have trouble accomplishing both of those criteria. If you visit a financial adviser or use some kind of asset allocation software, you'll be asked a series of questions that will attempt to determine your risk tolerance. What this is really asking is how much of a decline you can stand before you panic and sell. However, thanks to the Great Recession, you already know the answer to that question. From October 2007 to March 2009, the S&P 500 fell more than 50 percent. Did you sell your stocks, hold on, or buy more? If you just couldn't take that big of a drop, then you need to have something that will hold up the next time the market tanks — and there will be a next time, we just don't know when. Risk and time horizon intersect at another portfolio decision point, and that is how flexible you are with your goals. If you absolutely need a certain amount of money at a specific time, then you need to invest in less volatile investments such as cash or short-term bonds. But then to reach those goals, you'll have to save more since you'll earn very little in the way of returns. However, if the timing of your goal is more flexible, you can invest more in stocks and possibly accomplish your goal sooner – or, if the market disappoints, later. The more you invest in stocks, the more you broaden the range of possible future values of your portfolio, for better and for worse. You might be among the lucky minority that will receive a defined-benefit pension (i.e., a monthly retirement check for the rest of your life, courtesy of your employer). Or you might decide to purchase such a benefit yourself in the form of an income annuity. Maybe you own some property and receive rents every month. Whatever the source, a reliable stream of retirement income can factor into an asset allocation. Retirees whose total retirement expenses are covered by a pension (or other income) can take more risk since a market downturn likely won't change their lifestyle or require them to go back to work. For those who rely on their portfolio for at least some of their income, they have to play it safer. Retirees should keep at least five years' worth of expenses out of the stock market. That might be safe enough for some investors, especially those who have a pension as a safety net. For those whose pension doesn't cover much, then the portfolio should be closer to a traditional mix of stocks, bonds and cash. However, all this depends on how safe that income stream is. Just as bond issuers occasionally go bankrupt, there's a chance the company behind your “guaranteed” retirement income will go belly-up. 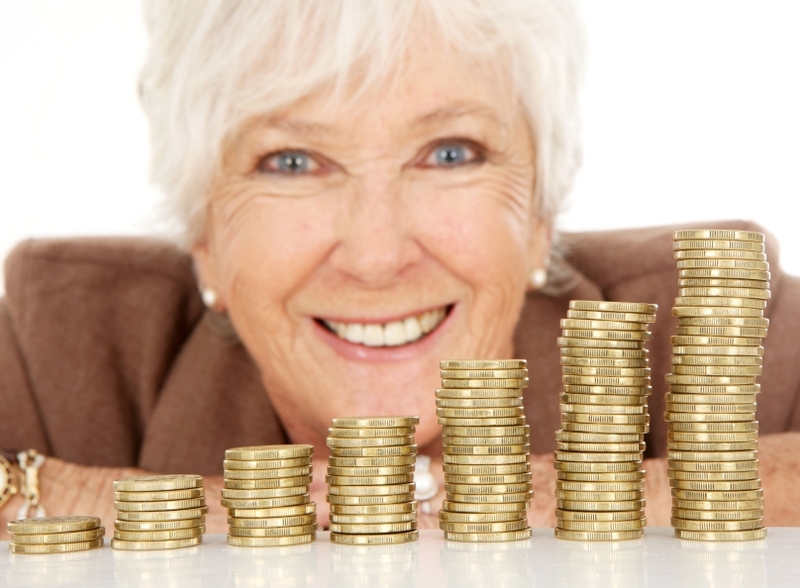 Pensioners need to regularly assess the financial viability of their pension provider. Even many state and local government pensions are underfunded, to the tune of $3 trillion across all government plans, according to ratings agency Moody's. Just ask the pensioners of Detroit, who are currently facing potential cuts. Private pensions are backstopped by the Pension Benefit Guaranty Corp. (PBGC), but it only insures benefits up to a certain amount ($57,477 for plans terminating in 2013). Plus, the PBGC itself is underfunded by more than $20 billion. Government pensions are backed by the power to raise taxes, which will lead to some heated debates as more and more Boomers retire and strain government budgets. As for annuities, make sure the insurance company sending the checks is rated A or higher by Moody's, Fitch and S&P. If you're still working, you're a living, breathing money machine. Every workday, you exchange your hours for dollars. Some experts think those dollars should be taken into account when you allocate the dollars in your portfolio. Your ability to earn (and grow) a paycheck is known as your “human capital.” It can include your skills, education, network, charisma, and other traits that you can turn into a paycheck. But not all paychecks are created equal. Some are relatively stable and secure, others are more variable and unpredictable. Finance professor Moshe Milevsky has written about this quite a bit, often asking this question: “Are you a stock or a bond?” (In fact, that's the title of one of his books.) If your job is safe and your income steady and reliable, you're more like a bond and can take more risks with your assets. On the other hand, if your job and compensation are very sensitive to the health of the economy, you might play it safer to mitigate the risk that your paycheck and portfolio are down significantly at the same time. You also don't want too much of your human capital and your investment capital reliant on the same company, or even industry. This most obviously applies to workers who own company stock. One rule of thumb is that investors should have no more than 5 percent of their portfolios in one stock. But if that one stock is in the company that also puts food on your table, then even 5 percent might be too much since you don't want your paycheck and a large portion of your portfolio to disappear in case your company becomes the next Blockbuster Video, Circuit City, Lehman Brothers, or other company that once seemed on top of the world but is now gone or barely breathing. Your portfolio was built on a foundation of education, judgment and advice. Investments made it into your accounts thanks to the decisions of one or more people who think they know a thing or two about investing. One of those people may be a financial adviser, who recommended that you buy certain stocks or funds. Others could be the managers of the funds you own, who decide what the fund itself should own. Then, of course, there's you – the person who plays the role of portfolio bouncer, standing at the front door and deciding who gets to come in and who gets thrown out. To mitigate this “everyone's fallible” risk, make sure you're incorporating a diversity of analyses and opinions into your portfolio. Is the Roth right for you? This year, it happened — something many have been predicting for years: Taxes went up. And most likely, the hikes will just keep coming. There's no other way to pay off the country's debt and fund the ballooning entitlements due the baby boomers as they retire. The increases may not affect everyone, and those who earn more will pay more, but someone's gotta pay. One way to hedge against higher tax rates is to contribute to a Roth retirement account. Your contributions aren't tax-deductible, but the withdrawals are tax-free once you turn 59 ½ and you've had a Roth account for at least five years. Who wouldn't want tax-free money if tax rates are just going higher? Well, as attractive as the Roth can be, it's not always the best choice for everyone. You see, a contribution to a Roth means you are forgoing a contribution to a traditional retirement account, which might give you a tax-deduction today in exchange for paying taxes in retirement. So the choice is: Should you pay taxes today or in retirement? Here's the rule of thumb: If you're in a higher tax bracket today than you will be in retirement, stick with the traditional account. However, if you expect to be paying a higher tax rate in your golden years, go with the Roth. The same math applies when considering a “conversion,” which is turning a traditional account into a Roth. The amount in the traditional IRA that comes from deductible contributions or investment growth is taxed as ordinary income in the year of the conversion, but then it grows tax-free. For many reasons, such as a drop in income, most people pay fewer taxes in retirement than they did while they were working. Plus, it's likely that senior citizens, as a group, will bear the smallest brunt of future tax hikes. Make sure to factor in the difference in tax rates between the state where you currently live and the state to which you'll retire, if you plan to move. A traditional vs. Roth calculation assumes that any tax savings from contributing to the traditional account is invested and saved for retirement. If you'll instead spend those tax savings, then the Roth looks much more attractive. As an example, consider the situation of a Motley Fool reader, who posted his Roth conundrum on one of our discussion boards. He's in the 33 percent federal tax bracket, and pays a 9 percent state income tax to boot. It's possible he'll move to Texas after he retires, which is among the seven states that don't have an income tax. (The others include Florida and Nevada, also popular retirement destinations.) So if he were to contribute $10,000 to a Roth rather than a traditional account, he'd be giving up on a $4,200 tax deduction, factoring in both federal and state taxes. He's better off sticking with the traditional account, especially factoring in the possible move to Texas. 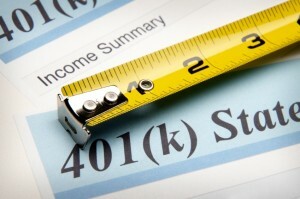 The fellow can contribute to a Roth 401(k) because his employer offers the option. Otherwise, he'd be out of luck since his income makes him ineligible for a Roth IRA. Once you earn a modified adjusted gross income (AGI) of $112,000 if you're single or $178,000 if you're married, your ability to contribute gradually phases out. However, all is not lost for those who don't have a Roth account at work, are ineligible for a Roth IRA, or have already maxed out their 401(k)s. It gets complicated, so stick with us. First off, not all contributions to a traditional IRA are deductible. If you have a plan at work and are single with an AGI of $59,000 or are married and have an AGI of $95,000, your ability to deduct the contributions gets phased out. If you're above those income limits, you can make a nondeductible contribution to a traditional IRA. As the name implies, you can't deduct the contribution, but the investments still grow tax-deferred. It gets complicated if you have pretax money in a traditional IRA, since the amount is prorated across all the accounts for tax purposes. For example, if you have $50,000 in pretax IRAs, and then you make a nondeductible contribution of $5,000 to a traditional IRA and immediately convert that account to a Roth, only 10 percent ($50,000 divided by $5,000) will be tax-free. However, there's one possible way around this. You can transfer those pretax assets to your existing 401(k), if your employer allows it. The downside: 401(k)s have limited and often pricier investments, and most don't allow individual stocks and bonds. Finally, based solely on the math, younger people in the 15 percent or lower tax bracket who expect to build up a large portfolio over their careers should choose the Roth. That's the math. But there are other perks to the Roth that might tip the scales in its favor if the math is fuzzy. Contributions to a Roth IRA – not earnings – can be withdrawn tax- and penalty-free before age 59 1/2. This has its downsides, since it makes it more tempting to spend money that should be left for retirement. But there are some proponents of using the Roth IRA as a college savings account, and even an emergency fund. Unlike the traditional IRA and 401(k), the Roth IRA does not have required minimum distributions (RMDs) at age 70 ½. The Roth 401(k) does, but you can transfer the money to a Roth IRA after you retire to get around RMDs. We know the direction of tax rates (i.e., up), but we don't know the magnitude and the targets. They're decided by Congress, and who knows what those folks will do? Of course, they didn't put themselves in office, which means the decision ultimately lies with the voters — and they can be even crazier. Some people argue that we can't even assume that distributions from a Roth will remain tax-free. But just as diversification is important in your portfolio, tax diversification can also make sense. For many retiree wannabes, one way to hedge against future significant tax increases is to have at least some assets in a Roth account.